Most shops open 10am-6pm; closed Wednesdays. 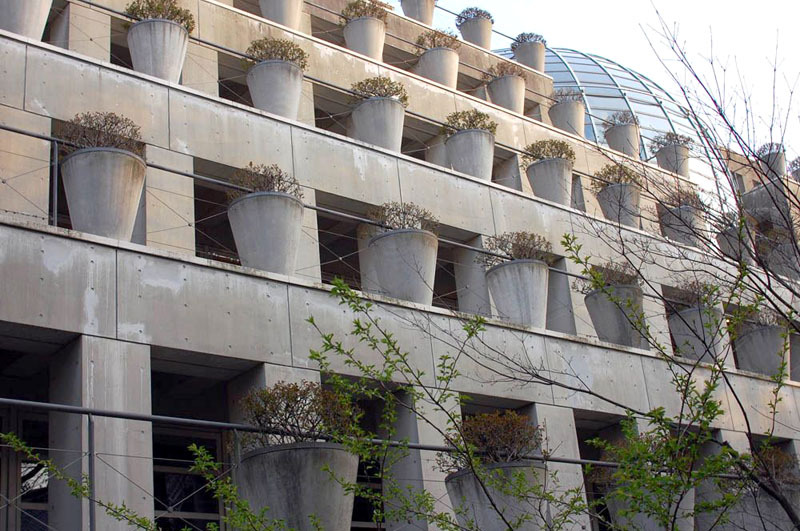 Designed by Italian architect Mario Bellini, the Tokyo Design Center was completed in 1991. 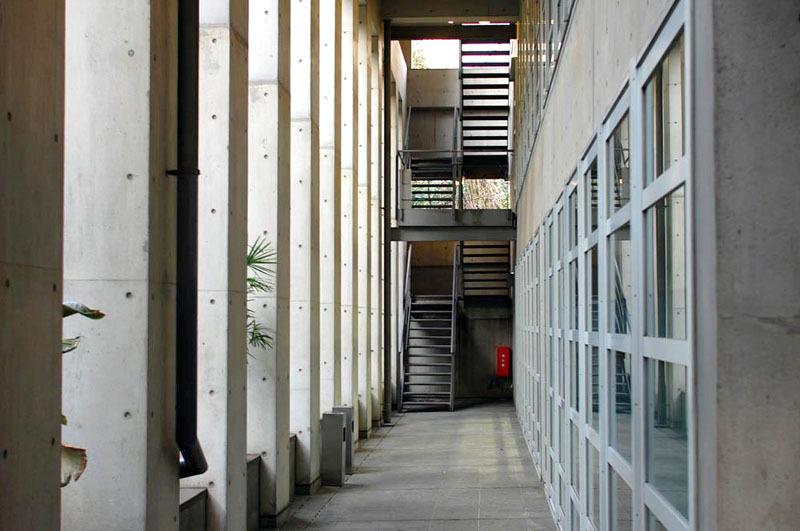 The most prominent feature is a galleria passageway that cuts upward through the building diagonally, leading to a garden area sitting on a steep hill behind the building. 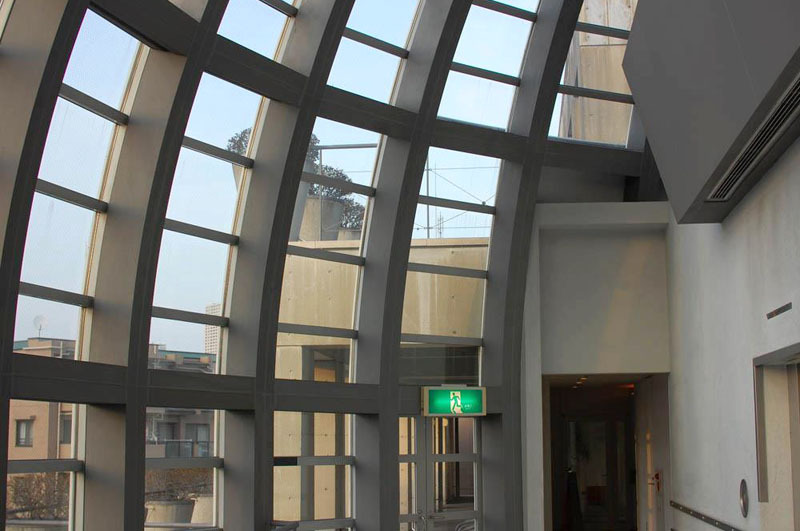 From there you can continue to climb along paths further up the hill, and look back on the terraced rear facade and the building's cylindrical elevator hall, which is capped by a glass dome. 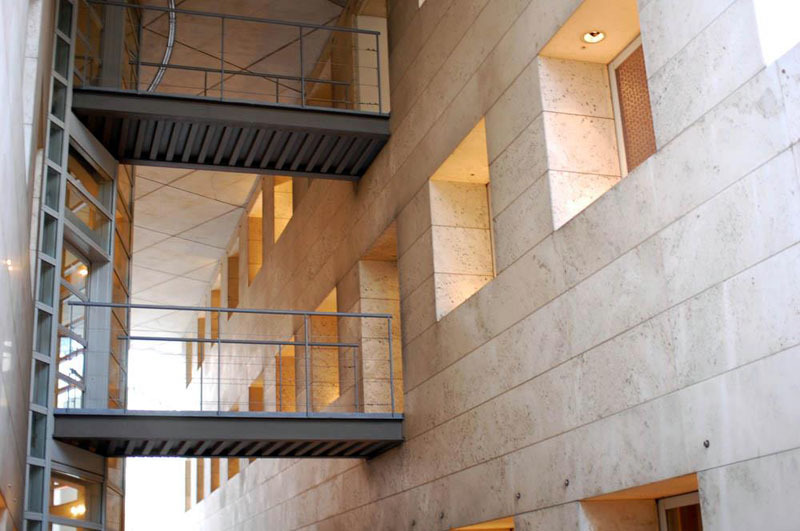 The front facade is exposed concrete with Travertine marble grids. 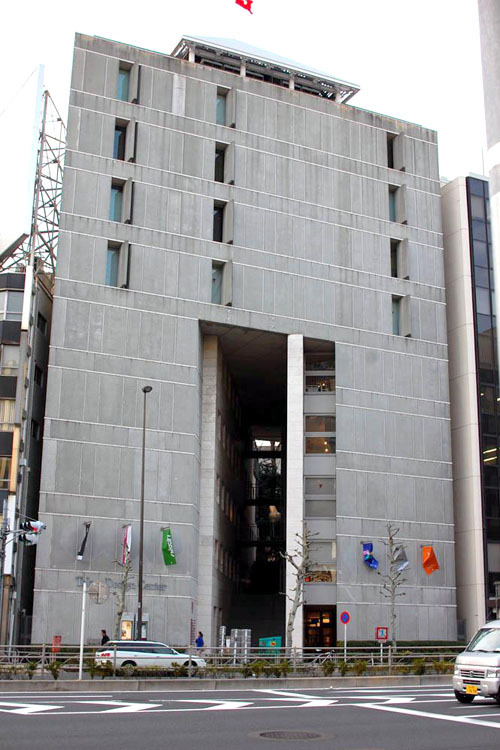 It faces Sakurada-dori across from Gotanda station, and it's divided into twin wings that flank a 1970s-era office building. 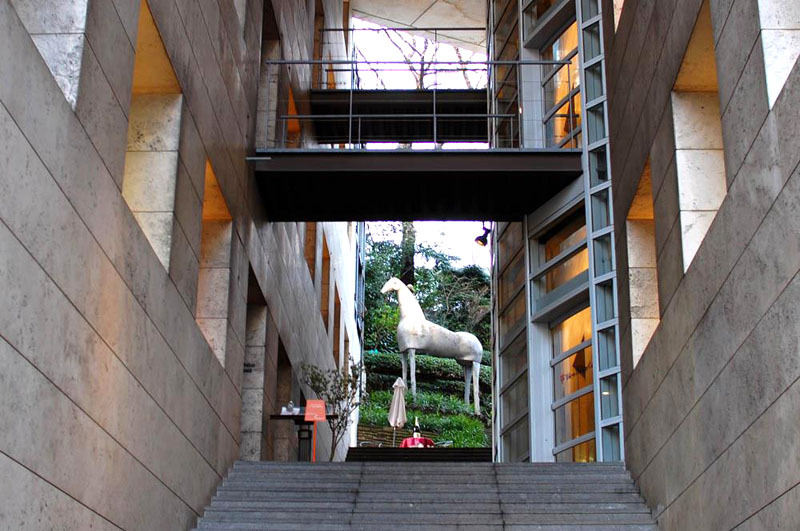 The building's five-story galleria area is occupied by interior design shops and showrooms, along with a design bookstore, an Italian restaurant and a cafe-bar. There's also an underground exhibition/concert space (called the Galleria) and several floors of offices above the shops and showrooms. 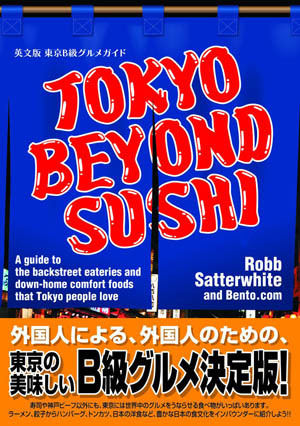 See also the Tokyo Design Center photo album on Facebook.